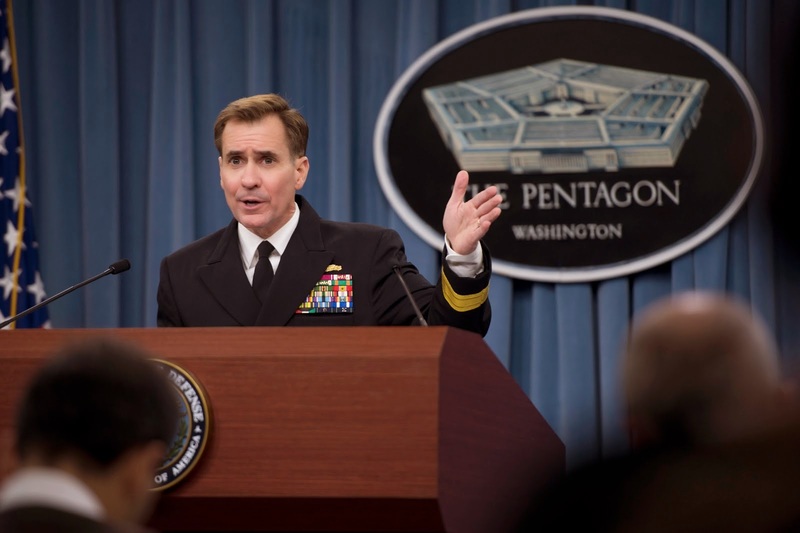 WASHINGTON, Aug. 22, 2014 - The Defense Department believes the best way to confront the threat presented by Islamic State of Iraq and the Levant terrorists will require a regional, international, and interagency approach, Pentagon Press Secretary Navy Rear Adm. John Kirby told reporters today. Part of the mission in thwarting ISIL now involves "supporting, advising, assisting, helping Iraqi security forces and Kurdish forces blunt the momentum," Kirby said. "We believe we've succeeded in blunting that momentum. But it's also about protecting U.S. personnel and facilities, including some of the airstrikes that we're conducting inside Iraq." Kirby acknowledged that ISIL's swift growth in capability stems from the group's criminal activity resourcing, as well as donations, ransoms and the group's sanctuary in Syria. He said the U.S. military should be one of many components in use to prevent ISIL from leveraging those resources. "You're not going to see the answer to all ISIL problems through a military lens," Kirby said. "We are conducting operations inside Iraq against this group, in support of Iraqis and Kurdish forces, but we're not going to be the only tool in the toolbox that can or should be used." Assessment teams will continue to monitor ISIL's activities, Kirby said. "It's what led us to where we are today," he said, "which is that we believe it does pose an imminent threat, and it's a threat that we need to take seriously."